Ninjas Killed My Family, Need Money For Kung Fu Lessons….The most brilliant words ever written on a large piece of cardboard. With smiley faces. You may not remember, but I posted this on the Ramble way back when and it was really mostly funny at the time. 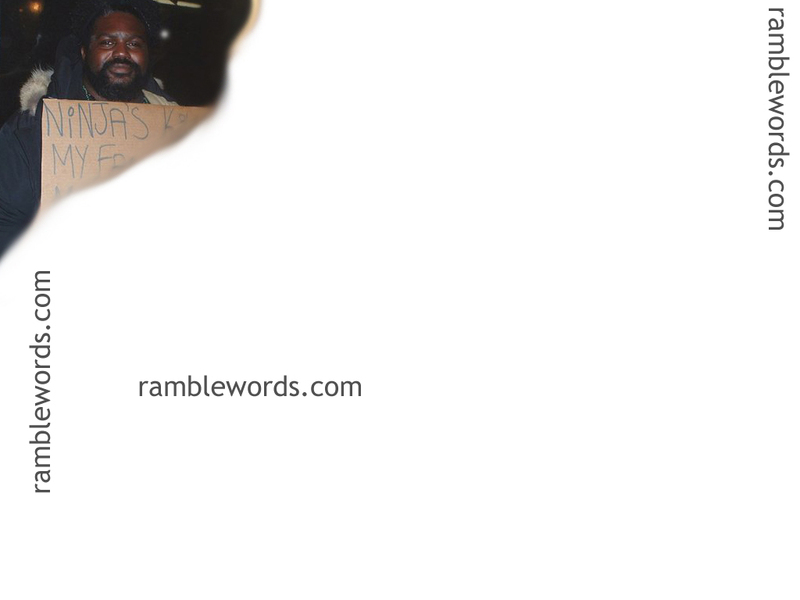 Of course, when Ramblewords got slaughtered by the fact that Jeremy forgot to pay the web hosting bill, the old post and image got lost in the ether. Every once and a while somebody shows up from the old google in the hopes of viewing this wonderful artwork, so I figure – hey, give the people what they want. Especially if what they want is ninjas. "The Art of Ninja Begging Revisited" by Jeremy Felt, unless otherwise expressly stated, is licensed under a CC BY-SA 4.0 International License.